It’s been a crazy summer. CRAY-ZEE! Not only did I hit a record number of couples I designed for this year, I also moved to a new market! Cedar Rapids, Iowa and Iowa City won’t know what hit them soon when it comes to wedding invitations. I’m looking forward to doing several bridal shows around this area as well as Des Moines. I’ll announce soon where I’ll be and when those shows are. As promised, I’m still going to design for couples in Omaha. Because engaged couples in Omaha are some of the best! 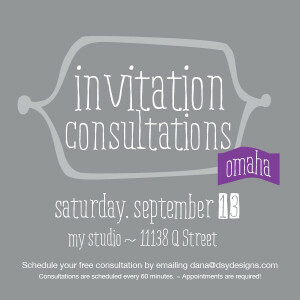 I have my first Invitation Consultation date announced for Omaha. Save the Date to talk about your Save the Dates on Saturday, September 13. 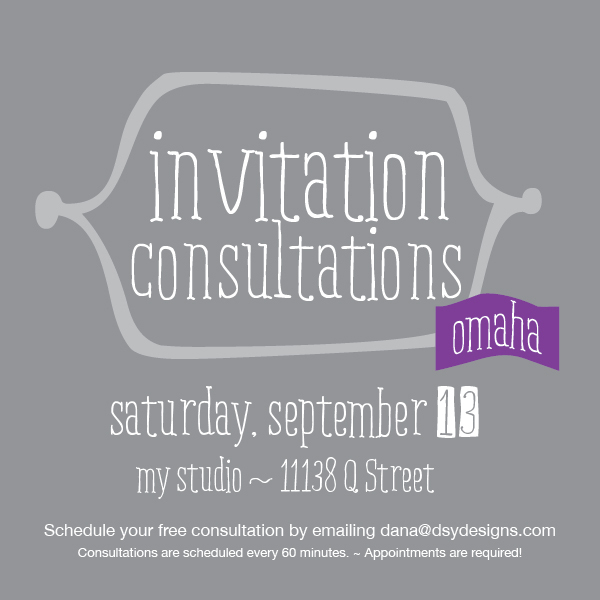 I will be at “My Studio” at 11138 Q Street in Omaha. If you are getting married (or know someone who is getting married) and want super awesome invitations, Save the Dates, ceremony programs, menus, table numbers…(get the point?) contact me to make your appointment. I’d love to meet with you, chat about your wedding style and show you what I’ve done. And I’ve got some good invitations to show off this year! Trust me. And those invitations and couple highlights will be featured on my website and blog soon. Stay tuned! I would like to book an Omaha consultation with a wedding date of September 16, 2016.